Nine Trinity researchers are among the 39 in Ireland to have secured prestigious Fulbright Awards for 2016-17. Dr. Andrew Jackson (Zoology) is among the nine researchers. 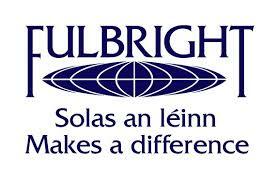 Since 1957, the Fulbright Awards are given annually by the Irish and US governments, providing Irish students, scholars and professionals the opportunity to study, research or teach at top American institutions. Andrew will visit the Scripps Institution of Oceanography at the University of California, San Diego, to develop new mathematical models to track near-real time changes in the species communities of impacted marine ecosystems using stable isotope analyses.